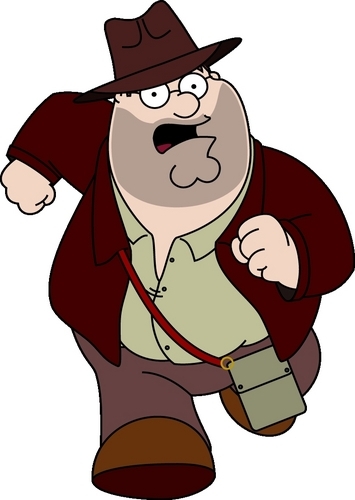 Dr. Peter 'Indiana' Griffin Jr.. tagahanga Art of a possible Family Guy spoof of Indiana Jones. HD Wallpaper and background images in the pamilyadong tao club tagged: family guy indiana jones peter griffin blue harvest family guy. This pamilyadong tao fan art might contain anime, comic book, manga, and cartoon. Family Guy - The Best ipakita on TV! !